Add relevant links, even when they don't lead back to your website. Tom Formeski at ZDNet bemoans the linkless news release and reminds you that missing links mean missing out on valuable SEO. His solution? "[S]ince PR people aren’t putting links into their communications then I shouldn’t need to put those links into my posts. Clearly, if it were important to them, then the links would be there in the source material." 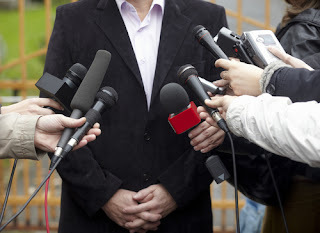 Clean up your lists--don't make assumptions about your agreements with reporters. Ivan Oransky's Embargo Watch blog notes that press agents for several scientific groups are remaking their press lists for embargoed announcements in an effort to make sure everyone on the list agrees to the restrictions. When was the last time you did this? (In my first media relations job, my esteemed predecessor left some dead reporters on the press list. Seriously.) Among the mother lode of tips in this roundup of 13 ways to keep your pitch from being deleted is a reminder to verify reporter emails, rather than blithely spamming from a list. Don't get caught on the announcement train and hope to get noticed in a first-class way. David Pogue, New York Times tech reporter. frequently shares his frank tips for PR people. In the week of the Consumer Electronics Show, he wonders why you would "schedule your new-product announcement for the exact same day 2,500 other companies release theirs too?" Indeed. Why not wait and get some spotlight all for yourself? For a live event or press conference, consider the physical setting. Also at CES, some events felt like a wedding in a high school gym, and other press conferences got it right by giving some thought to the experience reporters would have at the event. Comfort, space, and atmosphere all come into play, and add up to "memorable," just what you want. Oh, yeah, and food helps. Sound basic? Well, someone out there isn't listening. If you're not guilty of these, figure out what's not working in your world. I invite the reporters who read this blog and good PR mentors to chime in with more do's and don'ts.